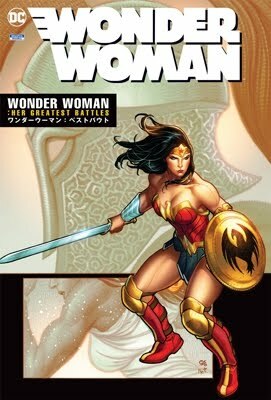 For comics and related items scheduled to be ship beginning in January 2001. Special thanks to my comic book store, Outpost 2000 & Beyond for giving me this poster. If you're ever in Minnesota, you should stop by. 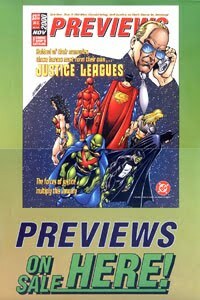 Anyway, Previews used their cover of PREVIEWS #11 (vol 10) as the poster (which is the cover to JUSTICE LEAGUES: JL? #1). It's folded and measured 12" by 20". The back of the poster features Tony Daniel's SILKE.